Studies show the positive effect animals have on humans. Classroom pets are a lot of work, but bring many rewards to students, especially struggling students who connect with the pet. Animals help them develop compassion, responsibility and strengthen a child’s social skills, even drawing out the shiest of students. The classroom pet should also be a part of academic learning as much as possible. Here are some activity ideas that range across the curriculum. Math – Help students measure and weigh the class lizard or guinea pig from head to toe and plot points on a graph. Or students can track the amount of food the animal eats each day, week, and month. Language Arts/Writing – Kids who don’t like to write may find inspiration in the class pet. Have students write a fictional story with the animal as one of the characters. 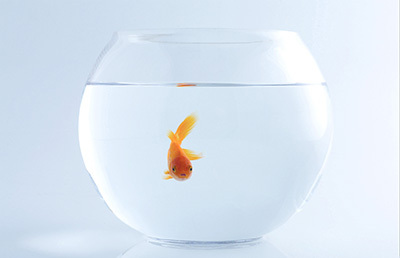 Students could write a poem about the class pet, using each letter of its name as a prompt for each line. Or with students help, draft a set of rules for caring for and having a classroom pet. Social Studies – Every pet needs a name. Have students brainstorm some names for the animal and take a vote. Follow the presidential voting process. Allow students to debate which name fits best, create “campaign” signs, and have students cast a ballot. Responsibility – Caring for a classroom pet can get expensive and time consuming. Teach your students responsibility by having them bring in food for the pet and cleaning its habitat regularly. Science – While students observe the pet and its habits and habitats, have them research what life for the animal is like in its actual habitat. Students can compare and contrast the classroom and native habitats. Classroom pets are the perfect jumping off point for discussions about the life cycle and food chains. Or focus on the pets anatomy by having students draw a picture of the pet and label its parts. Please note, if a class pet happens to die give students time and support. Allow students to reflect on their feelings. Students could draw pictures or journal about their favorite things about the pet or how the pet helped them learn about responsibility and compassion. Experts believe it is always best practices to talk about the animal’s death in simple, honest terms. Don’t equate death to sleeping, even though it may make the experience less painful, it could cause confusion and more anxiety. And of course it is always a good idea to bring in the guidance of a school counselor if needed.